Every airline claims it has a better solution for the logistical hellscape that is checked luggage, from fancy new RFID tags to charging $$$ to deter the practice entirely. But the only way to never lose a bag again is to completely automate the process. Which is exactly what this adorable robot is designed to do. 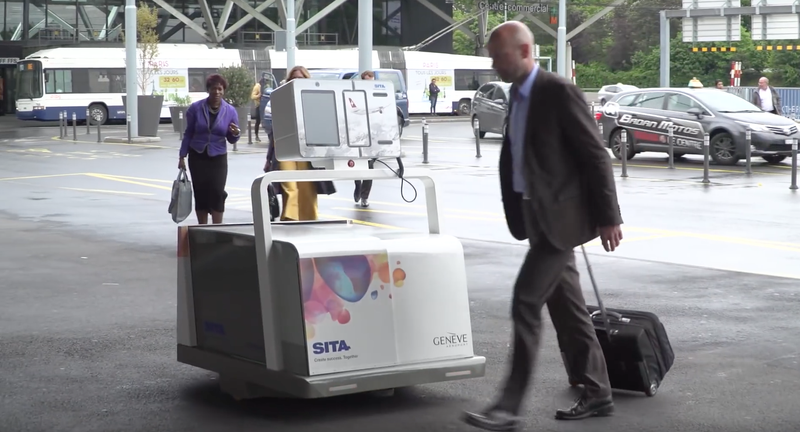 Leo is an autonomous baggage handler designed by SITA, a company that designs technology tools for airlines. In this video, Leo can be seen scooting around the Geneva Airport, where it is able to take luggage from passengers and make sure the bags get on the proper flight. From the passenger experience side, it seems pretty seamless. Passengers scan their boarding passes to get Leo’s doors to open, and Leo prints the appropriate tags. Then the doors close and Leo displays the boarding gate and departure time before zipping the bags directly to the handling area. The advantage to the airports is that bags never enter the terminal, freeing up more space for check in. Or maybe more TSA lines! The checked baggage system is certainly in need of a robotic revolution, although I am not sure Leo is the answer to our prayers. In a way this is really just a mobile version of the ubiquitous kiosks that allow you to check bags and print tags yourself, although taking your bags on the spot might make it a better option for disabled people or those traveling with kids. Robots might make fewer mistakes resulting in fewer lost bags, but if they’re only able to carry two bags at a time you’d need hundreds of them zooming around everywhere, so it’s hard to see how they would help alleviate congestion. Maybe this would only really work as a premium curbside solution. But hey, the little guy is cute, isn’t he?